Ed Neuzil, board certified nurse practitioner, fellow and owner of an allergy, sinus and asthma practice in Central Florida for nearly 15 years again joins eHealth Radio and the Allergy Information Channel. He has also developed an herbal-enhanced nasal cleansing spray, "Dr. Neuzil’s Irrigator" that provides relief for dry, irritated nasal passages. What is rhinitis and how common is it? How do symptoms for rhinitis present? How does rhinitis impact people in their daily lives, especially for people with asthma? What is the best way to prevent rhinitis….and if you suffer from symptoms? How is it treated? You developed a non-medicated nasal spray that may help people with this condition. How does it work? Are there other benefits to using an enhanced, non-medicated nasal spray like yours for people who might have other sinus conditions? 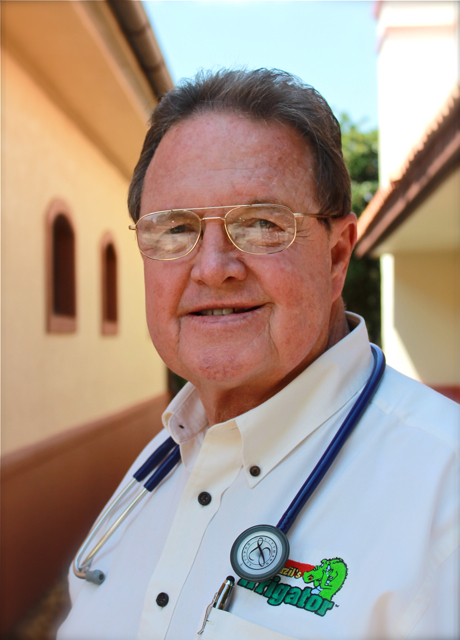 Francis "Ed" Neuzil, PhD, MSN, AANP-BC, FAANP is the creator of Dr. Neuzil's Irrigator. He has over 44 years of experience in the medical field and is a Nurse Practitioner with 15 years of specialty expertise in the fields of allergy, sinus and asthma. He is the owner of the Allergy, Sinus and Asthma Family Health Center in Lady Lake, Florida and has five college degrees including his Ph.D. in Health Administration. He created an herbal-enhanced nasal cleansing spray for his own family and patients who frequently suffered during Florida's extended allergy seasons. Dr. Neuzil's Irrigator is not a steroid spray and does not contain any medications. This nasal spray is a saline-based formula with essential oils like menthol, winter green and others to provide a natural cleansing and decongesting effect. It uses the natural effects of the essential oils to provide comfort and relief in a more natural way without the many side effects associated with using medications.